While the United States has maintained an uneasy calm with North Korea for more than six decades and spikes in tensions are not new, recent supercharged rhetoric between Donald Trump and Kim Jong Un have heightened the risk of miscalculation that could make that nightmare a reality. 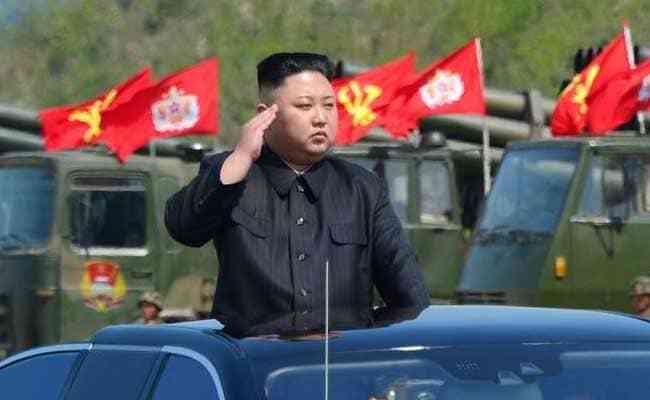 Washington: Any new military conflict with North Korea would likely escalate quickly to the use of nuclear weapons, bringing catastrophic casualties not seen since World War Two and an untold economic impact worldwide, former US defence officials and experts say. While the United States has maintained an uneasy calm with North Korea for more than six decades and spikes in tensions are not new, recent supercharged rhetoric between the unpredictable US President Donald Trump and North Korean leader Kim Jong Un have heightened the risk of miscalculation that could make that nightmare a reality, they say. On Thursday, North Korea upped the ante by saying it would complete plans by mid-August to fire four intermediate-range missiles over Japan to land near the US Pacific island territory of Guam, after Trump said that any threats by Pyongyang would be "met with fire and fury like the world has never seen." The exchange followed a United Nations resolution tightening sanctions on North Korea after it tested two intercontinental ballistic missiles designed to carry nuclear warheads to the United States. Trump said on Thursday his fire and fury comment was not tough enough. Despite the war of words, for now the US military says there has been no change in its readiness posture in South Korea or elsewhere in Asia. Analysts say they have seen no evidence of any increased alert in North Korea. But they warned the bluster could raise the risk of miscalculation that could result in conflict far beyond the scale of the 1950-53 Korean War, which claimed the lives of more than 50,000 Americans and millions of Koreans and ended in an armed truce, not a peace treaty. "The major thing people are talking about is miscalculation - we could easily stumble into something with the rhetoric being so heated," said Philip Yun, a Korea expert who was an Asia adviser under former President Bill Clinton. Yun, now executive director of the Ploughshares Fund, an anti-proliferation initiative, said the risks were exacerbated by the "credibility problem" Trump has acquired due to his frequent off-the-cuff remarks that often appear to go counter to the more measured remarks of his officials. "In nuclear deterrence, credibility is everything and there's a situation that if no-one takes you seriously, you have to do something to make sure you are taken seriously, and that's where the miscalculation can happen," Yun said. With hundreds of thousands of troops and huge arsenals arrayed on both sides of a tense demilitarized zone, the Korean peninsula has long been a tinder box. North Korea's acquisition of nuclear weapons and its hell-for-leather development of an array of missiles to deliver them, have raised the stakes further. Even a conventional clash could cause catastrophic casualties, given the thousands of North Korean artillery pieces ranged along the border, at least 1,000 of which are capable of reaching the densely populated South Korean capital Seoul and its metropolitan area, home to some 25 million people. "It would be very difficult to eliminate that threat before the artillery fire could create a lot of damage on the southern side," David Shear, who served as the senior US defence official for east Asia under former president Barack Obama, told Reuters. "I take projections of casualties of thousands to tens of thousands quite seriously and that's just in South Korea - it's possible North Korea could attack Japan as well." The real danger of any preemptive US strikes against North Korea's weapons sites would be that Pyongyang, whose conventional forces are considered no match for those of the United States and its allies, might resort to using its chemical and biological weapons and ultimately its nuclear arsenal. Then there is the potential for casualties running into the millions. "If they did launch they could potentially wipe out cities in South Korea and Japan, and in the longer term maybe reach the US West Coast and even further inland," said Hans Kristensen, director of the Nuclear Information Program at the Federation of American Scientists. Even if everything went right for the Pentagon, a US strike campaign against North Korea would take up to a week to be effective, said Kristensen. A former US military officer who served multiple tours in South Korea and Japan said that to succeed completely, it would take at least a month, given how well protected and dispersed North Korean targets were. "And it would provoke a massive North Korean reaction, even when they spotted preparation for such a strike, or the instant one began." Yun said the catastrophe would not just be human. "If we had a war, think about what it means. You are talking South Korea, the 11th largest economy in the world, Japan, the third largest economy, and you are talking about ground troops on the Korean peninsula. "Donald Trump's agenda would be consumed by this. Nothing else would get done. It's against his interest and it's not really an option."